The General Growth Properties bankruptcies are challenging lenders' assumptions about chapter 11 real estate cases. 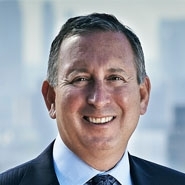 The bankruptcy judge overseeing these cases, which involve a publicly traded real estate investment trust and 387 of its affiliated debtors, recently denied several motions by secured lenders seeking dismissal of the individual bankruptcy cases of certain special purpose entities within the debtor group. This ruling, in what is the largest real estate bankruptcy proceeding ever, will undoubtedly affect future chapter 11 cases involving bankruptcy remote borrowers financed by the CMBS market. Here is a summary of the key rulings, and what they mean to you. The debtors had not negotiated with the lenders before filing for bankruptcy. 1. The filings were not premature. Though a solvent company may file for bankruptcy, the mere possibility of a future need to file is insufficient to justify a filing. Here, the court declined to adopt what it called an "arbitrary" rule that a debtor is not in financial distress and cannot file a chapter 11 petition if its principal debt is not due within one, two or three years. It concluded that the debtors that were the subject of the motions were in varying degrees of financial distress when their cases were filed. For example, some had loans already in default, while loans of others were on the verge of default or maturity, in "hyper-amortization," or hyper-amortizing in the next few years. The CMBS market, which the debtors had historically relied upon for financing, was essentially "dead" when they filed. There was no indication as to when that market might revive, and the debtors had no evident means of refinancing billions of dollars of real estate loans coming due within the next several years. So its holding is not misconstrued, however, the court expressly disclaimed the notion that every stand-alone company with ample cash flow would necessarily act in good faith by filing a chapter 11 petition three years before its only debt came due. The point is that if there are identifiable factors indicating financial distress, including a foreseeable, reasonably certain inability to pay debts as they mature, a solvent company may file. 2. The court could consider the interests of the debtors as a group without prejudicing the lenders regarding substantive consolidation. The lenders argued that in judging good faith and financial distress, the court should consider only the financial circumstances of the project-level debtors, because they were bankruptcy remote SPE's. But the court disagreed, observing that it is sound business practice for a corporate parent seeking bankruptcy protection to seek similar protection for wholly-owned subsidiaries that are crucial to the parent's reorganization plan. Since the debtors faced an unprecedented collapse in the real estate markets and had $18.4 billion in debt maturing by the end of 2012, the court ruled that the question of whether to file a particular case could properly be based on the interests of the family of debtor companies as a group as well as the interests of an individual debtor. But this ruling may not help the typical single-asset real estate debtor whose ownership is not in bankruptcy, because the court cited with approval a case where it was held that the standard for assessing a good-faith dismissal for stand-alone debtors differs from that applicable to affiliates or groups of debtors. The court went out of its way to clarify that nothing in its opinion implies that assets and liabilities of any of the subject debtors could be substantively consolidated with those of any other entity, and to clarify that the fundamental SPE protections for which the lenders had negotiated—separateness of their borrowers from other entities—would remain in place during the chapter 11 cases. The principal goal of the SPE structure is to guard against substantive consolidation—meaning the assets and liabilities of a debtor are not combined with those of another entity that owns separate, unencumbered assets and that has different creditors. 3. Replacing the independent managers shortly before the filings was not bad faith. Prior to the bankruptcy, an independent company had provided two individuals who served on 150 project-level debtor boards of directors. But the two had no apparent real estate business experience and the loan documents did not bar their removal. The debtors replaced them with "seasoned individuals" with workout experience and time to devote to analyze the restructuring efforts. The court ruled that replacing inexperienced independent managers with real estate experts who authorize bankruptcy filings in order to preserve value to benefit the debtors' estates and creditors was not improper. The result might be different where there is no value to preserve in excess of the debt encumbering a debtor's property. 4. The independent managers were required to consider the interests of the debtors' shareholders. Many wrongly assume that the role of independent managers is to protect lenders' interests and deter bankruptcy filings. But the court held that since the debtors were solvent, the independent managers were actually required to consider—and could not ignore—the interests of the debtors' shareholders in analyzing whether to authorize bankruptcy filings for the subject debtors. 5. The debtors were entitled to present their plan. The court rejected the argument that there was no chance a plan could be confirmed over a lender's objection, because courts have consistently refused to dismiss a chapter 11 case on this basis before the debtor had proposed a plan of reorganization. Here, the debtors' exclusive periods in which to propose a plan had not yet expired. This ruling makes it unlikely that a case will be dismissed as a bad faith filing due to an alleged inability to confirm a plan until after the court has seen the debtor's proposed plan. 6. Failure to negotiate is not necessarily bad faith. A borrower is not legally required to negotiate with its lender before filing a chapter 11 petition. Furthermore, according to the court, "[t]here [was] much evidence . . . that the Debtors could not even get the CMBS lenders to talk to them." Some master servicers reportedly declined to negotiate, while special servicers, who would have had authority to grant more significant concessions, had not yet been appointed for some of the loans in question. A lender cannot blame a borrower for not negotiating, when the lender did not make itself available to negotiate. We expect this decision to guide courts handling future chapter 11 real estate cases. For more information please contact: Andrew Gold at (212) 592-1459 or [email protected]. Copyright © 2009 Herrick, Feinstein LLP. Lending and Restructuring Alert is published by Herrick, Feinstein LLP for information purposes only. Nothing contained herein is intended to serve as legal advice or counsel or as an opinion of the firm.